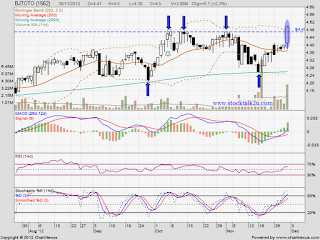 BJTOTO rebound from MA200 support level & break through strong resistance RM4.47 level. How high will this bull run go? Stochastic %K still on BUY call itinerary. As long as no reversal sign, it will go higher. 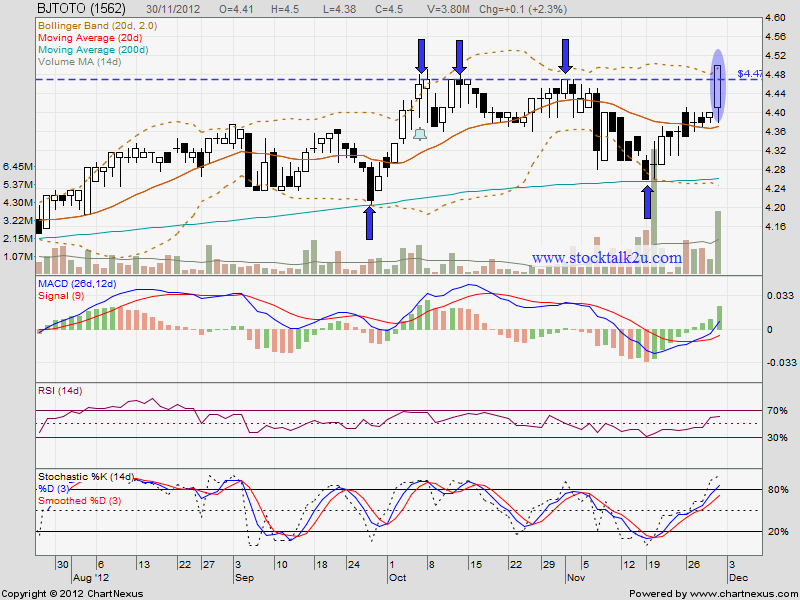 If retrace down, immediate support @ RM4.47 level. Subsequent support @ MA20 / MA50 level. Do watch out coming quarter result, which will announce around mid of Dec.
Perhaps the result will kick off the bull run.